The German automotive giant BMW, with its new commercial video, unveiled the X2’s feeler and did not hesitate to surprise its rival Mercedes. What does your mind think about automobile advertising? Is it a car that shines under a lot of spotlight, or another car that makes a fast turn on a bendy road? As a result, most of the car ads are similar and boring. BMW’s new X2 ad both makes you laugh and says ‘wow be’. 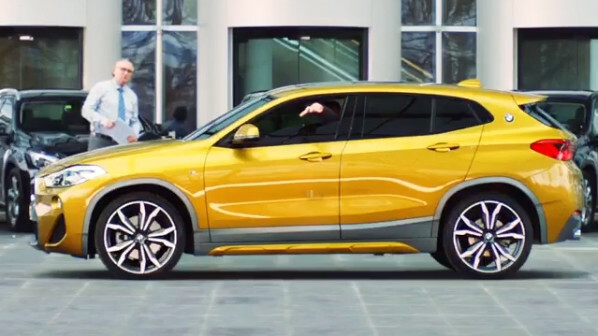 In a commercial film in front of a Mercedes gallery, a gold-plated, glass-filmed BMW X2 leaves behind the signature of the ordinary black three Mercedes. We are accustomed to hearing the car’s power and comfort in automobile advertising. But such sly and humorous commercials are much more noticeable and tragic for those who are bored by the usual TV culture.